YOSHIKI and Nobel Prize Winner Professor Yamanaka build on Olympic Tokyo 2020 Hype with ONE TEAM PROJECT | VKH Press – J-Rock & Visual Kei Coverage Worldwide! 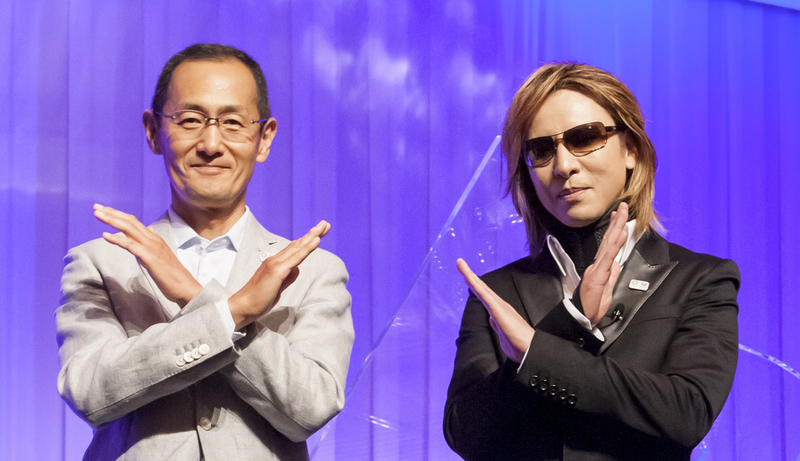 YOSHIKI is showing his support of the 2020 Tokyo Olympic Games in a partnership with Nobel Prize winner Shinya Yamanaka. Together, they've brought us a video interview covering the ONE TEAM PROJECT, an effort to build attention and enthusiasm for the extraordinary event coming to Tokyo. The ONE TEAM PROJECT is a collaboration made up of some of the most significant innovators of Japan, and as leaders in their fields YOSHIKI and Professor Yamanaka are well qualified ambassadors. Watch through the video to enjoy a piano performance from YOSHIKI of X Japan's Forever Love toward the end! By the year 2020, I want to be recognized as both a globally relevant musician and a Japanese person. This opportunity to confirm my goals for 2020 together with Professor Yamanaka has reinvigorated my resolve. To the athletes who aspire to compete in 2020 in Tokyo, I’m behind them with all my heart as a fellow comrade who is chasing his dreams. And I hope the viewers of this video will also share the same hopes and dreams. We are ONE TEAM. This opportunity has reaffirmed to me that the year 2020 is — for myself as well as for the Japanese people — an extremely important year. Personally, as a sports lover, as a Japanese person, I am looking even more forward to the 2020 Tokyo Games. I hope that this video can help to enhance anticipation for the 2020 Tokyo Games for as many people as possible. Experiencing YOSHIKI’s live performance was truly a moment of bliss for me.